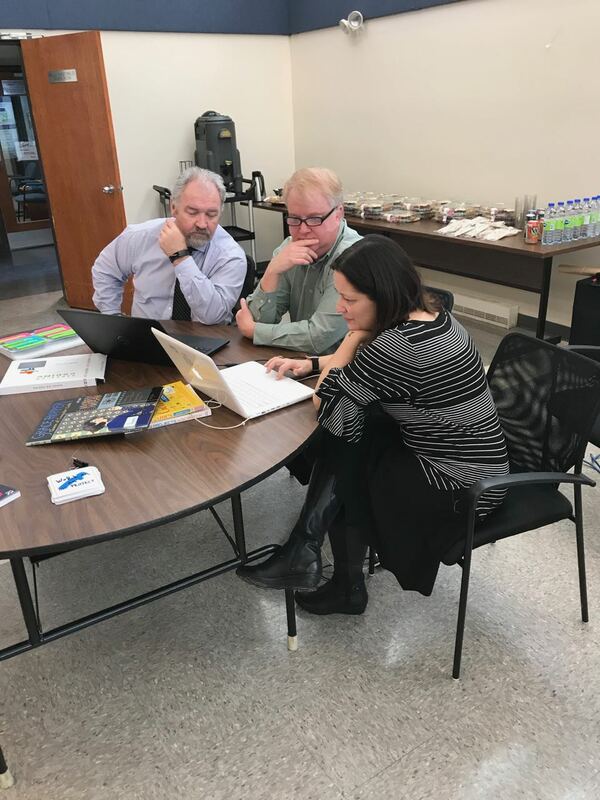 On January 17th, Joëlle Bernard and Guillaume Laforce from the Bureau de la mise en oeuvre du plan d’action numérique presented the Ministry’s Digital Action Plan to the LCEEQ Committee at the LBPSB. 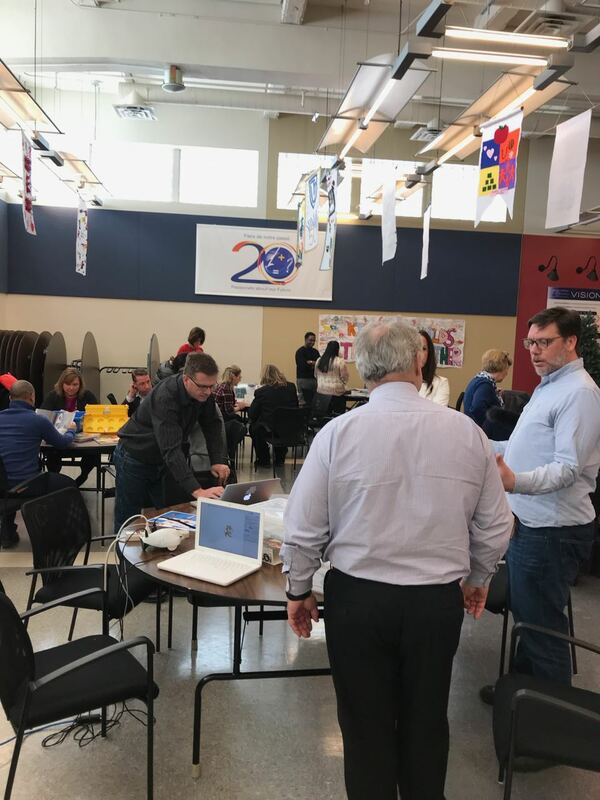 LCEEQ’s Steering Committee asked LEARN if we could follow this presentation with some of the techno-pedagogical tools and the pedagogical underpinnings related to the Digital Combos that are currently being rolled out in our schools. 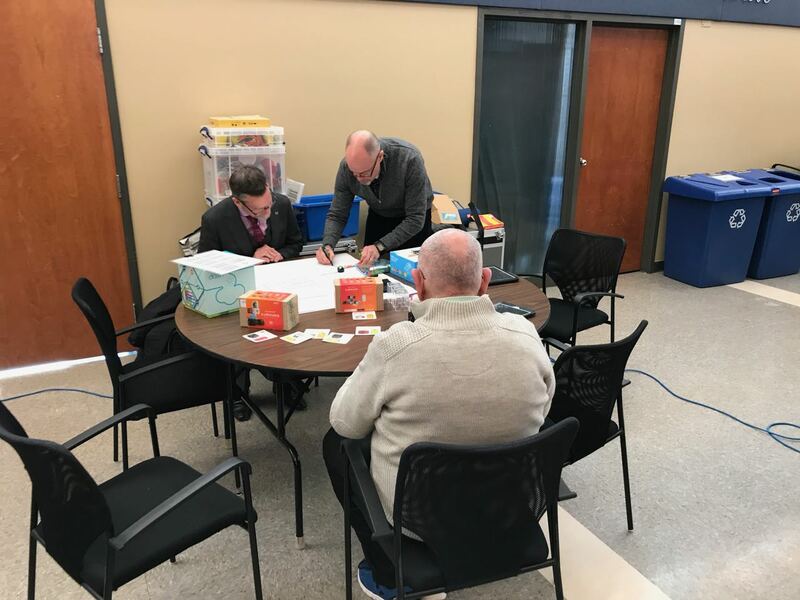 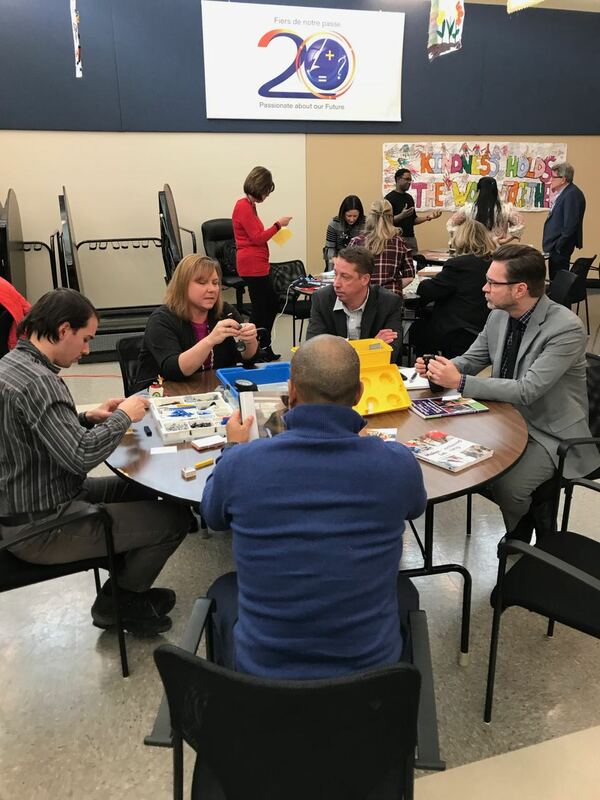 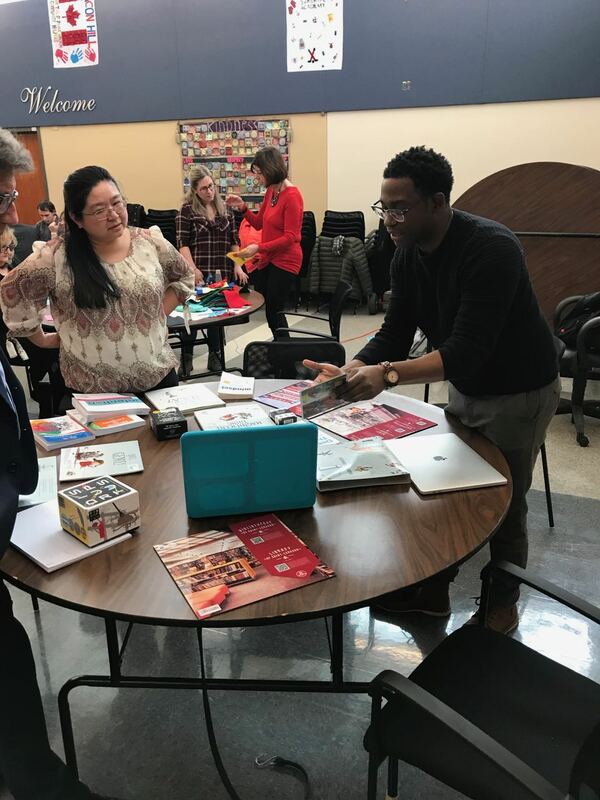 Members of LEARN’s pedagogical team (Chris Colley, Carolyn Buteau and Michael Clarke) as well as some of our local RÉCIT consultants (Tim Foreman – SWL, Craig Bullett – ESSB, and Kish Gué – EMSB) provided members with a hand-ons pop-up Makerspace so that they could experience these tools for themselves. 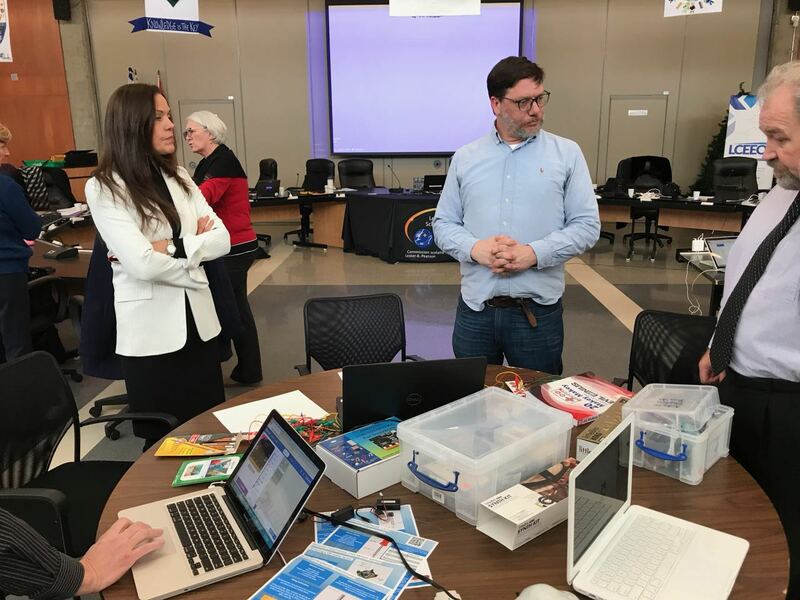 Stations included coding with Scratch, robotics, etextiles and paper circuits, lego construction, and digital storytelling. 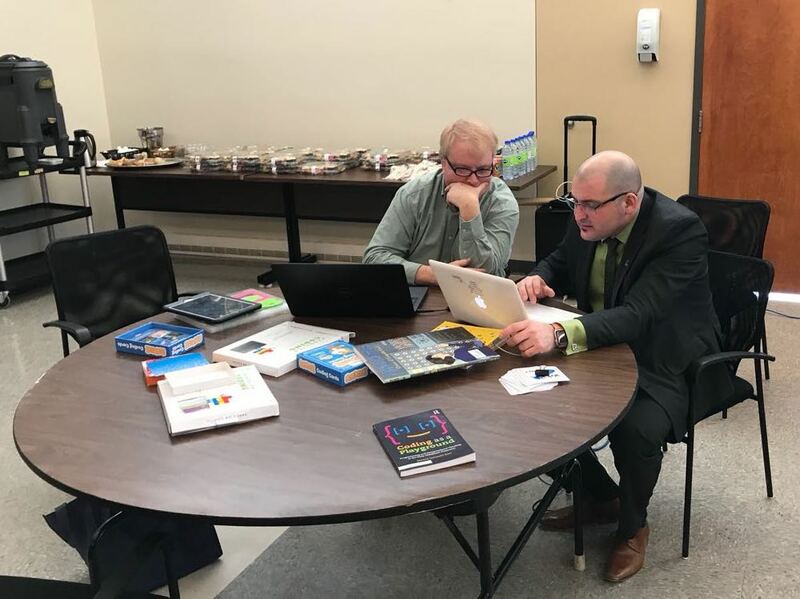 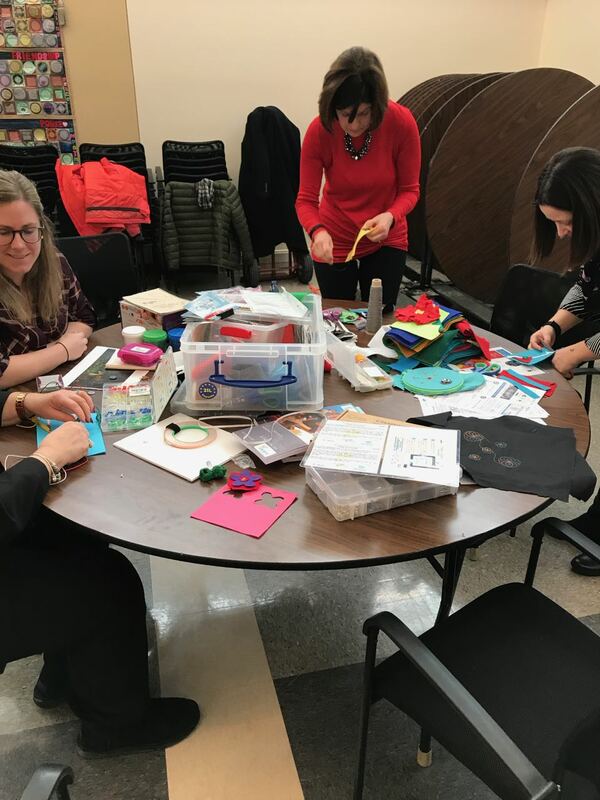 This was accompanied by discussions about the pedagogical foundations of the integrated use of technology in the classroom, 21st century skills (read cross-curricular competencies), makerspaces and computational thinking.